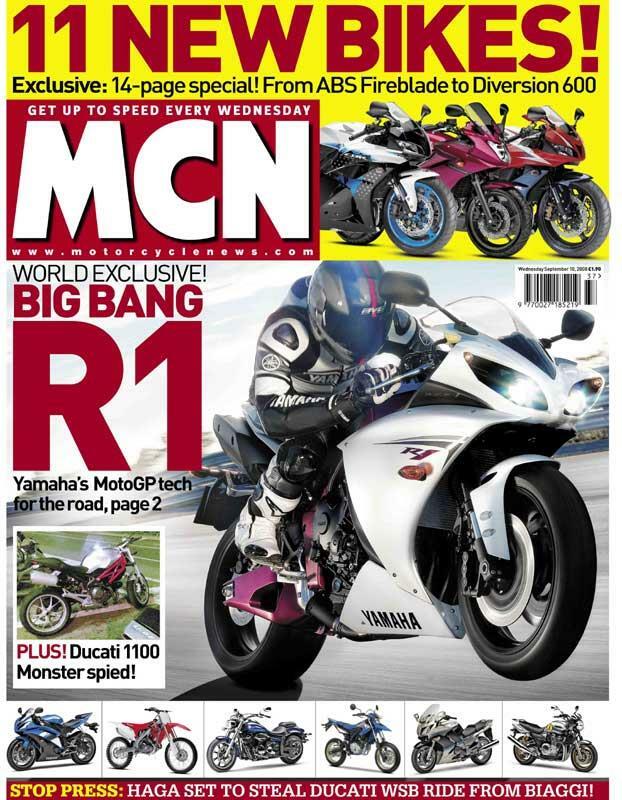 In this week's edition of Motorcycle News we reveal Yamaha's 2009 range of motorcycles including the new Yamaha R1, Yamaha XJ6 Diversion, Yamaha XVS950A Midnight Star and Yamaha's latest editions to the 125cc market the WR125X and WR125R. The new R1 features a 'big-bang' engine as used by Valentino Rossi in MotoGP and 'eye lids'. It's looks have divided the MCN office, so tell us what you think here. We also reveal the 2009 Honda CBR600RR and Honda CBR1000RR Fireblade which both have ABS as standard for 2009. Is it better to buy a new motorcycle or a used one?